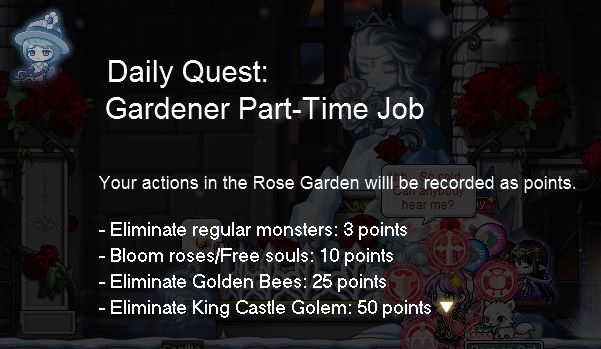 Rose Garden is a new content of the recent FLY patch. 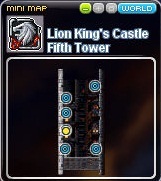 To begin the series of quests related to the Rose Garden, you must first complete Lion King’s Castle pre-quests by NPC Jenn’s Brother, NPC Luden, etc..Then, complete the quest “Is There Any Hope?” from NPC Ifia at the Roof of the Fifth Tower at the Lion King’s Castle. 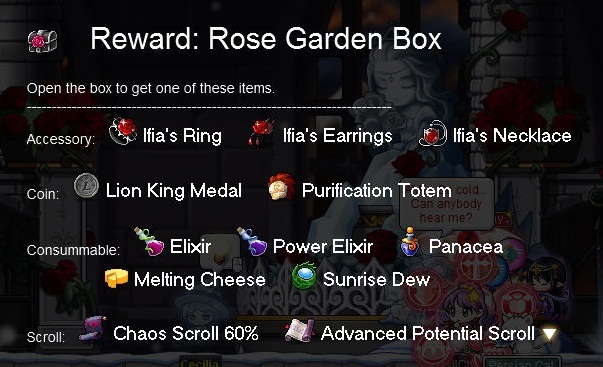 Finish the story and accept another quest from NPC Ifia- “Key to the Rose Garden”. 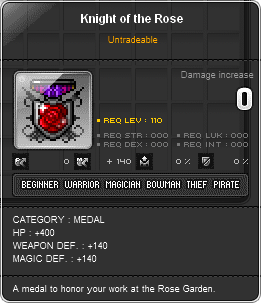 Obtain the Rose key from Grey Vulture. Followed by a quest which you are required to eliminate monsters in the map and protect Queen Ifia to the << portal. 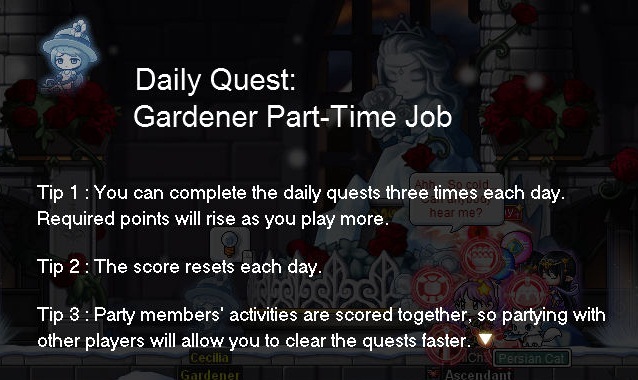 When you have access to the Rose Garden, NPC Cecilia, the Gardener will have tasks for you to clear the storyline quest as well as daily quests. 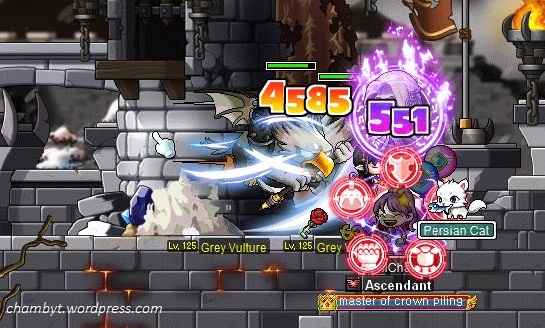 Accept the quest from NPC Cecilia, talk to NPC Luden and defeat Prison Guard Ani. 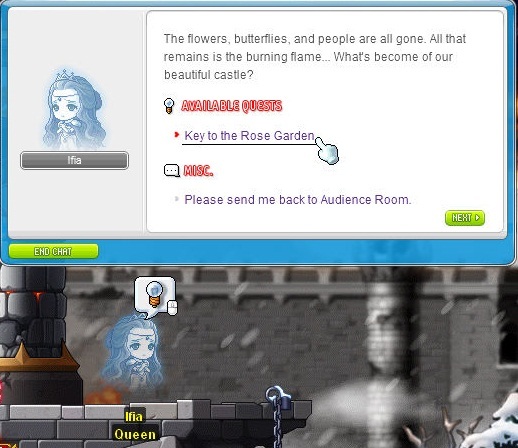 Accept the quest from NPC Cecilia, and get 5 roses. 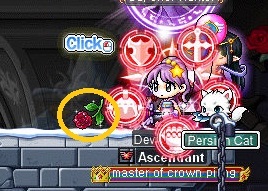 Hunt Rose Seed from the monster in Map 1. 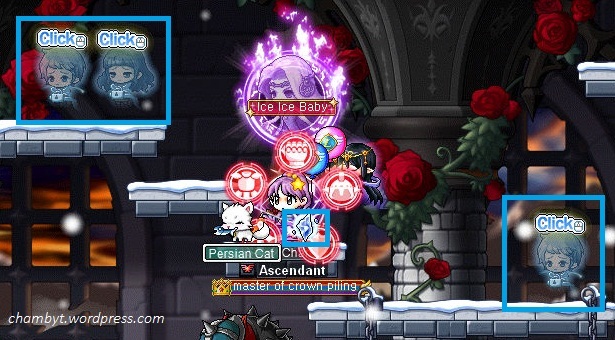 Click on the Iced Pot and receive 5 roses. 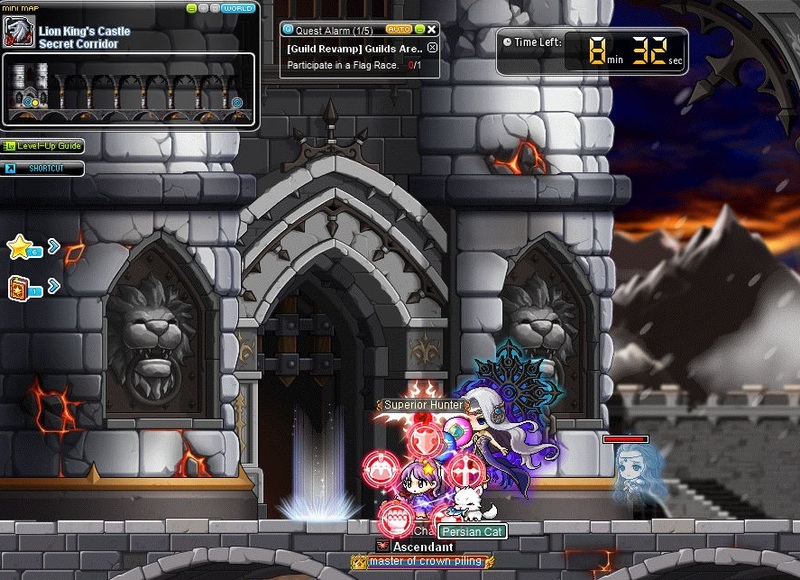 Accept the quest from NPC Cecilia, defeat the Prison Boar in Map 2 to get 5 keys to free the souls. 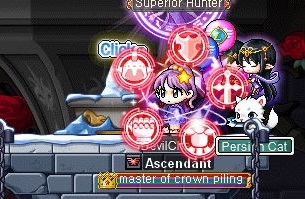 I chose this. 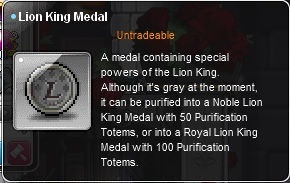 WIll need 100 Purification Totems (can be obtained through Lion King’s Castle monsters) to purify it into a Royal Lion King Medal. 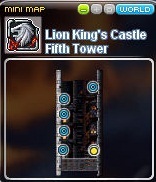 You will get this bonus when you have eliminated a certain number of monsters in the map. 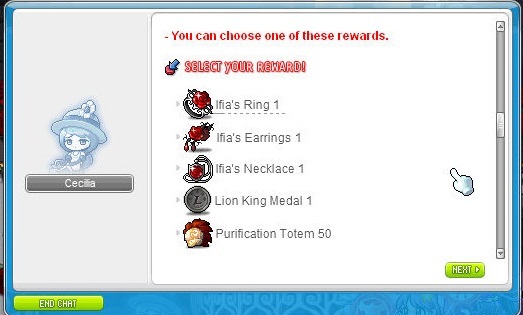 Clear the daily quest for 15 times and you will be awarded with this medal.